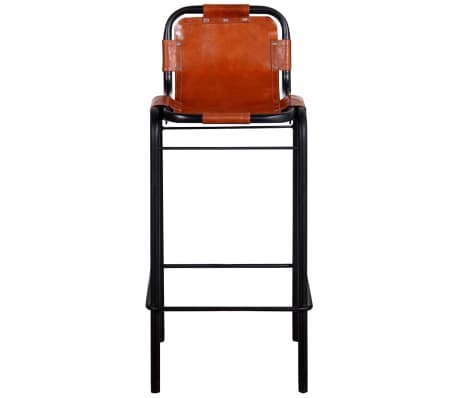 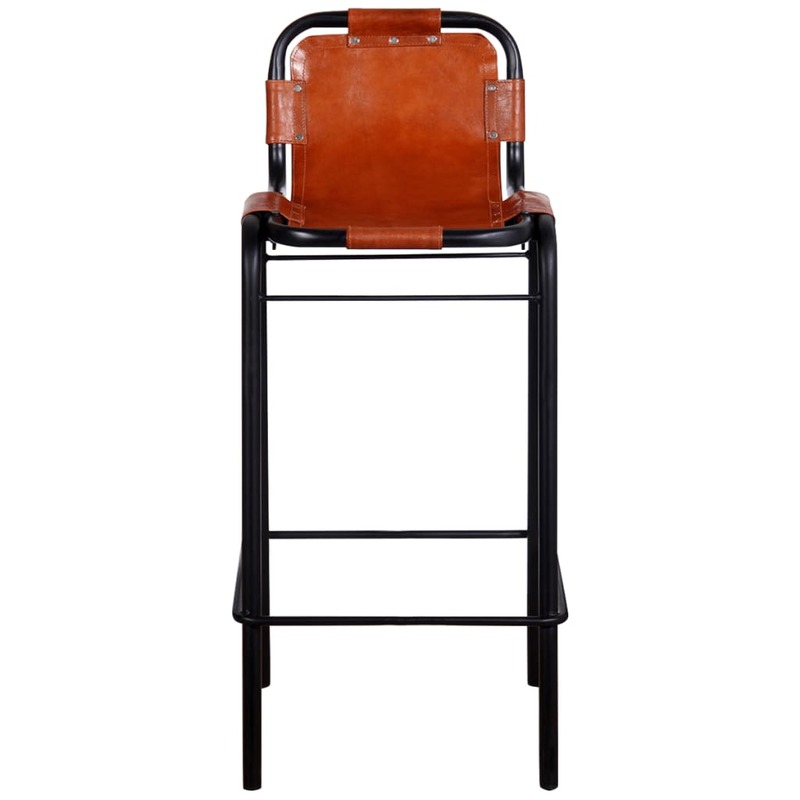 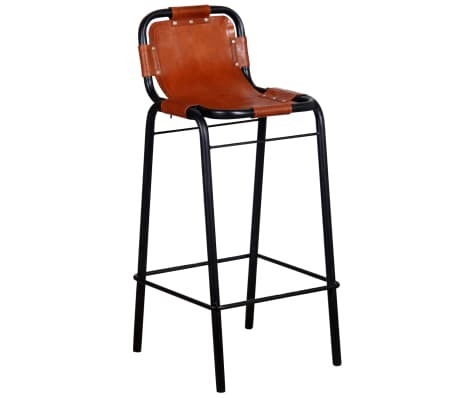 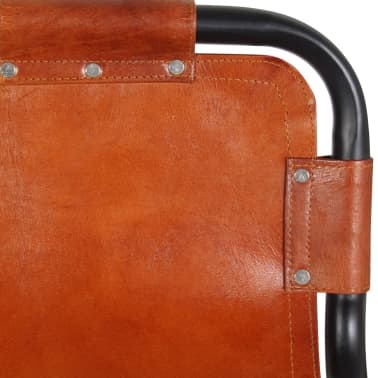 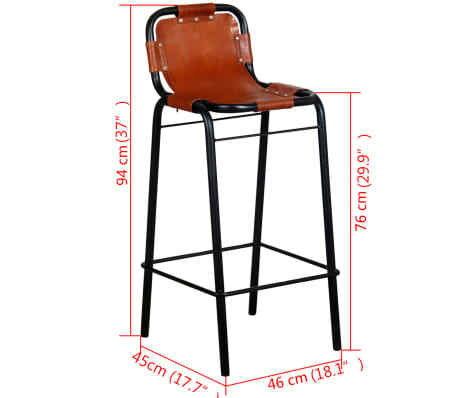 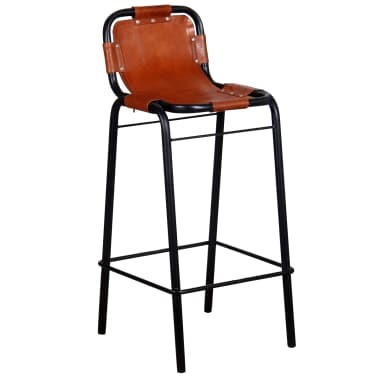 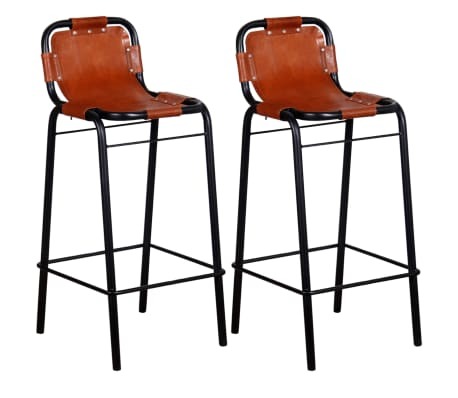 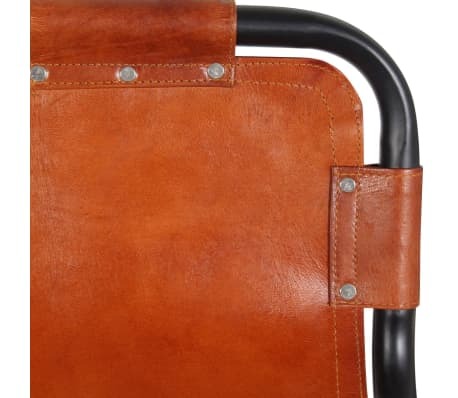 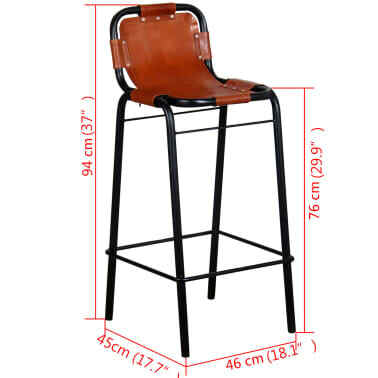 These soft and comfortable real leather stools have an iconic look, in keeping with the industrial style that's all the rage right now. 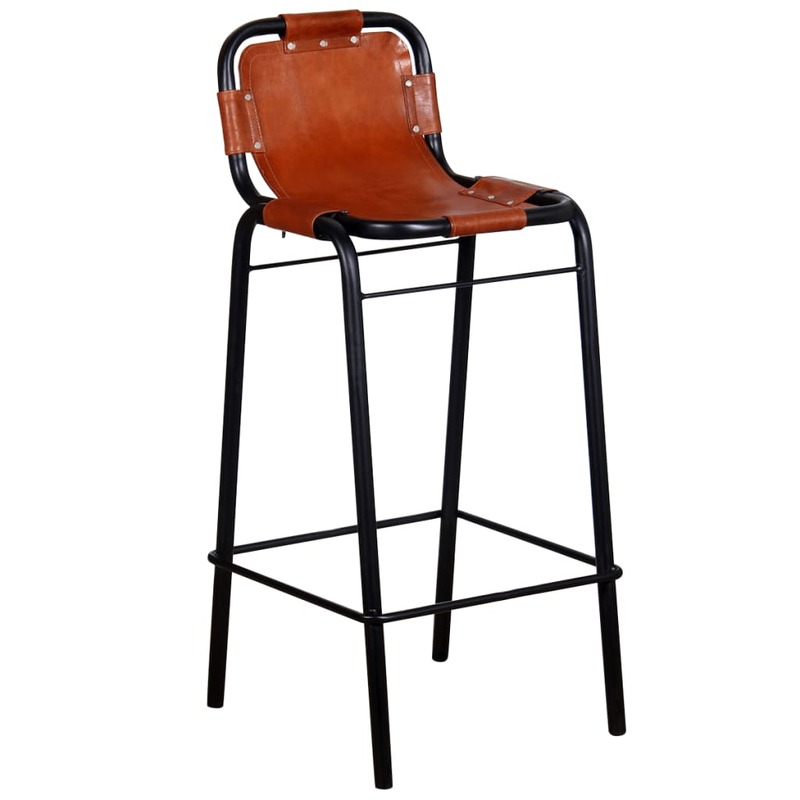 They will look great not only in restaurants or bars, but also in your living room or dining room at home. The genuine leather seats are soft to the touch and make for a comfortable seating experience. 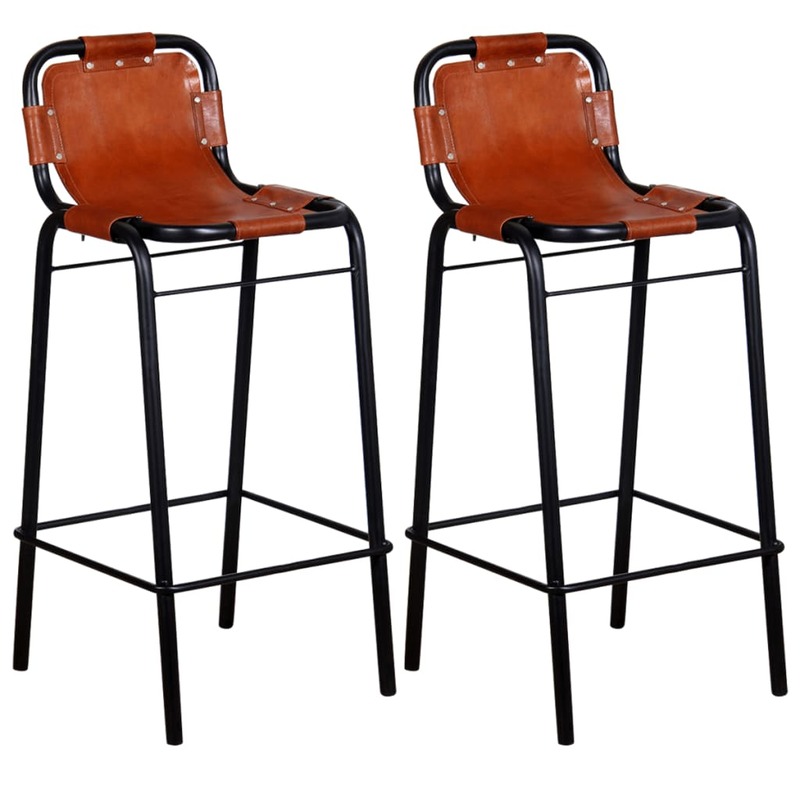 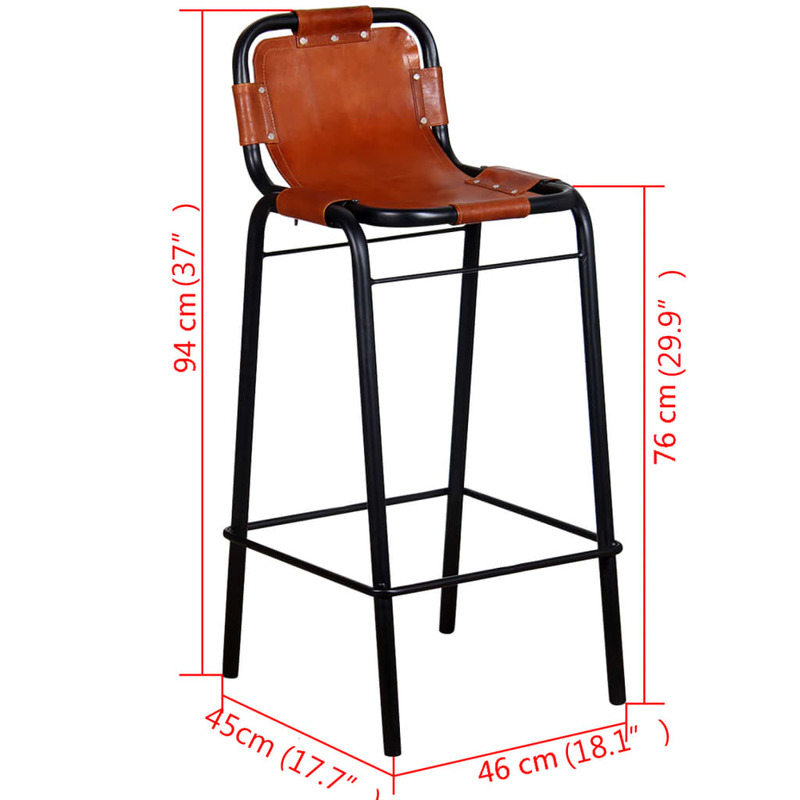 The powder-coated steel frame adds to their sturdiness and the stools are easy to move around to suit any setting.